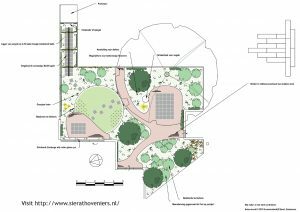 Part 2 in a series designed to help landscapers moving from hand drafting to CAD drafting. Our main focus here is on learning becoming familiar with the gCADPlus user interface. Start gCADPlus by clicking the shortcut on the desktop. Select File>New and choose the template called FrontGarden. One done, gCADPlus loads a design ready for us to explore the interface. The figure below shows the view you should see. It is a design for the front entrance of a house. You are already familiar with methods of moving around in the design, but worth practicing again as shown in the movie. This movie provides a short introduction to the various components that make up the gCADPlus drawing environment. We cover how to use drop down menus, using commands to draw lines, circles and other entities, add dimensions and examine landscape productivity tools on the special gCADPlus drop down menu. We show how to handle floating toolbars, edit entities using the properties box, the importance of the mouse and the value of right clicking the mouse while drafting. 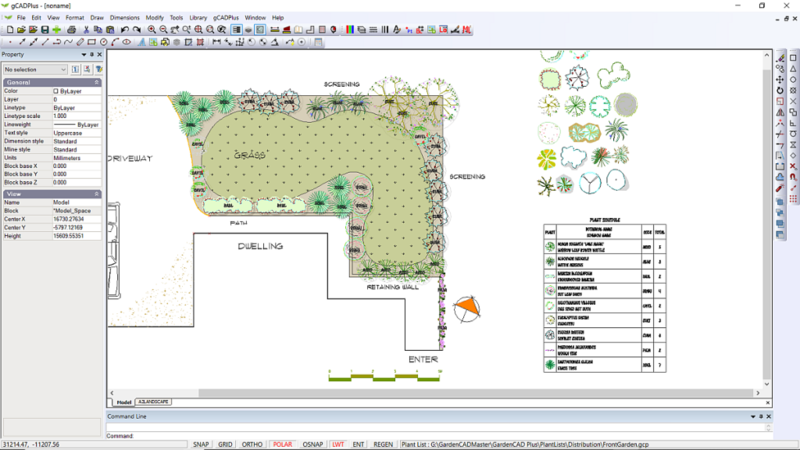 We survey the command and status areas, the mini layer tool, show how to get online help, work with multiple drawings and the multiplicity of layout spaces available to gCADPlus users. The figure below shows the usual interface. Tip: The drawing editor background is black but can be set to white if desired. Key areas in the drawing environment are labeled in the figure above. All the tools necessary to create landscape drawings are in easy reach via drop down menus, toolbar icons or right click pop up menus. 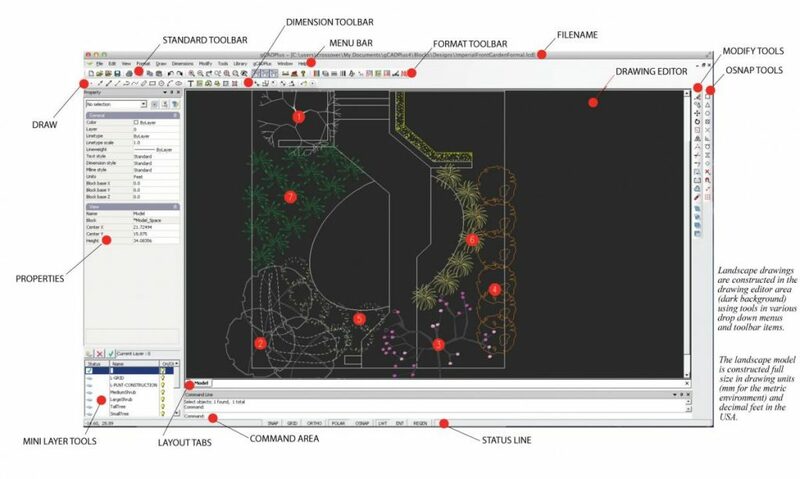 The black area in the figure above is termed the drawing editor (aka model space) and it is here that designs are created using various tools selected from toolbars, menus or typed in the command area. We think that it is important to maintain consistency in the interface and not to change the location of menu items or screen layout when new versions of gCADPlus are released – consistency in the use of gCADPlus is our aim.